At a time when America is seeking ways to sustain its innovative edge, and when societies around the world are trying to build digital-age economies, Jobs stands as the ultimate icon of inventiveness and applied imagination. He knew that the best way to create value in the 21st century was to connect creativity with technology. He built a company where leaps of the imagination were combined with remarkable feats of engineering. Two words to describe how I felt while listening to this audiobook…absolutely fascinating! So why would I be so intrigued by an undoubtedly, first-rate ruthless man? I’m pretty sure it’s how Walter Isaacson tells Steve Jobs’ story. The introduction pulled me in right away with how the author was approached by Jobs to write his biography. When he finally agreed, Jobs encouraged him to write the harsh, honest truth…both the good and the bad parts of his life. Jobs also agreed that he wouldn’t control what was written about him. Going into this book, I really didn’t know that many things about Steve Jobs other than the headlines I’d hear about him in the news. I did watch the made-for-TV movie Pirates of Silicon Valley years ago, which first brought to my attention the rivalry between Jobs and Bill Gates. I also heard he was a difficult man to work with, but I didn’t know just how much. Simply put, Steve Jobs had a passion for perfection. I found his early life quite interesting. I hadn’t known how he met Steve Wozniak before and was engrossed with reading about their symbiotic relationship and how Apple Inc. came to be. I actually wanted to read more about the Homebrew Computer Club after reading those chapters. There’s no doubt Jobs could market a product well, although I shake my head at how he went about making certain ideas into reality, especially with how he treated people. In his eyes, if you were in his way or weren’t of any use to him, you were basically extinguishable. I liked the term Reality Distortion Field used to describe Jobs’ charisma, and how he could sound so convincing. Other things I found fascinating were his Pixar days, his family life, and the creation of iTunes and the App Store. Really, I had no idea of his level of involvement with Pixar and the Toy Story movies. I loved the little glimpses into Jobs' life as a husband and father. Was he father-of-the-year material? Certainly not, but I think he tried his best as the years went by, especially after he fell ill and accepted his fate. While Jobs did many downright unfavorable and unforgiving things, some of which he later regretted, he had remarkable vision for whatever projects he wanted to make reality. He made his mark in this world that is recognized widely. One doesn’t have to be a techie to understand this book. 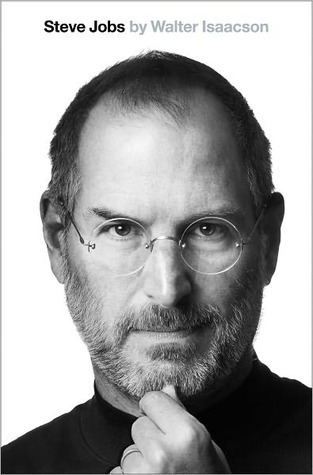 If you enjoy compelling biographies, Steve Jobs has an interesting one. I gave this book a high rating due to the combination of riveting subject matter, audio narration, and storytelling. It was my first time listening to Dylan Baker, and his narration is pleasing and exceptional. I’m glad I decided to get the audiobook. There’s a reason why Jobs pursued this particular author. I think that after hearing all the rough-edged details of his life, Jobs knew Isaacson would handle his story with great care. He brilliantly does so by presenting the many sides to this complicated man concluding with an intensely poignant and emotional epilogue. Back in 2011, I was encouraged by someone close to me to read this book. I had put it on the back of my mind to get to it someday. Five years later, I found myself entirely captivated from beginning to end, so much so, that I started to listen to it again.